Many of us drink coffee, soda or other caffeine-rich drinks because they provide us with an energy boost when we are starting to lag. Of course, caffeine is not particularly healthy for you, but there is an alternative – the cucumber! Because they are a great source of Vitamin B and good carbohydrates, cucumbers can give you a boost when you feel fatigued. 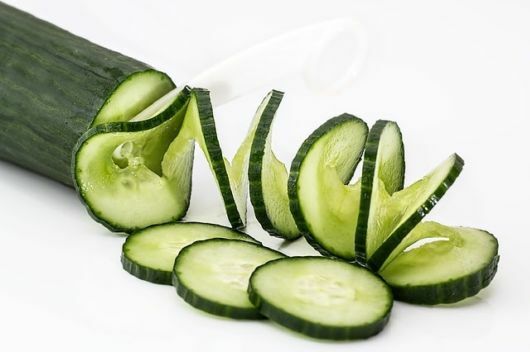 If you are feeling self-conscious about your cellulite, then cucumber can be a great help. Take a couple of thickish slices and rub them along the area you want to treat for a few minutes. This works because cucumber contains a photochemical which tightens collagen and firms up the outer layer of your skin which in turn, reduces the appearance of visible cellulite. It can also be effective on wrinkles, so use them as part of your regular moisturizing routine. We all buy artificial cleaners for our metal work, and most of them contain countless numbers of chemicals and other nasties you don’t really want to be breathing in. If you are looking for a ‘green’ way to shine your stainless steel taps and pots, rub a thick slice of cucumber over the area you want to clean. It will remove any signs of tarnish and leave the surface shiny and new. And as an added bonus, it won’t harm your hands while you are using it. If you want a quick and easy facial you can make at home, then slice up a generous amount of cucumber and boil them in a pot of water. Remove the pot from the heat when it has boiled, place a towel over your head and lean over it, allowing the steam to hit your face. The natural chemicals inside the cucumber will leave you feeling relaxed and rejuvenated, while your skin will look great. If you’ve just finished a lovely plate of fish, but don’t want to breathe the odor on everyone in your presence, then take a slice of cucumber and use your tongue to pin it against the roof of your mouth. Hold it there for around a minute and the photochemicals it contains will attack the bacteria and eliminate your problem. We don’t tend to carry shoe polish with us everywhere we go, but if you are caught short with scruffy shoes and need to be somewhere important, the last slice of cucumber from your salad can do the trick for you. Rub the slice over the shoes to leave them glistening, and as an added bonus the cucumber provides them with water repellent properties as well. If you like a nice, steamy bath once in a while but don’t have time to de-fog all the windows and mirrors afterwards, then rub a cucumber across the affected areas before you start running the taps. It will not only stop them from fogging up, but will release some relaxing aromas to help you relax while you soak. If you have a squeaky hinge or stubborn zipper, you probably didn’t realize that you can fix it with a couple of slices of cucumber. Rub them on the defective area and you have a cheap, easy stand in for WD-40. If the rigors of daily life have left your head pounding, or you drank too much red wine while dining out, cucumber can rescue you from a nasty headache. Because they are high in Vitamin B, sugar and electrolytes, they replenish nutrients that your body needs to fight off a hangover, or defeat the headache that has been throbbing all day. All you need to do is eat half a cucumber before bed, and then go to sleep as normal. If you are in between meals and feeling peckish, it is oh-so easy to turn to the cookie jar or ice-cream tub to satisfy urges. Most of us feel bad immediately after, and regret spoiling our dinner, so why not learn from our ancestors and use cucumber to fight off compulsions to snack? 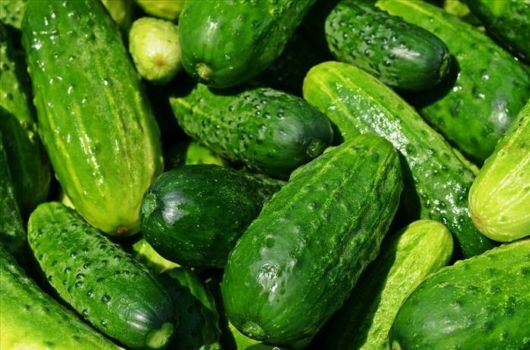 For centuries, it has been used by trappers, explorers and traders as a quick fix to fend off hunger, and just a few sticks of cucumber should do the trick. You might see cucumber in some aftersun products on the pharmacy shelves, and for good reason. They are a great cooling agent and some doctors even use them to treat patients with sore, burned skin. You just need to rub a thick slice over the affected area and you should feel quick relief. The high fiber and water content in cucumbers make them useful if you are suffering from constipation. So next time you are blocked up, try eating half a cucumber and seeing if it causes anything to ‘shift’. If you are someone who suffers from ongoing constipation, try adding more cucumber to your daily diet. If you have pen marks on a surface or wall, then take an unpeeled chunk of cucumber and rub it across the affected area. It works well on crayons too, so if your children or grandchildren have left you with an unwanted piece of artwork on the wall, the cucumber should successfully remove it. 15. They Can Help You Look Great! Ok, so this one is more widely known. People have been putting cucumber over their eyes to reduce puffiness and dark circles for many years. 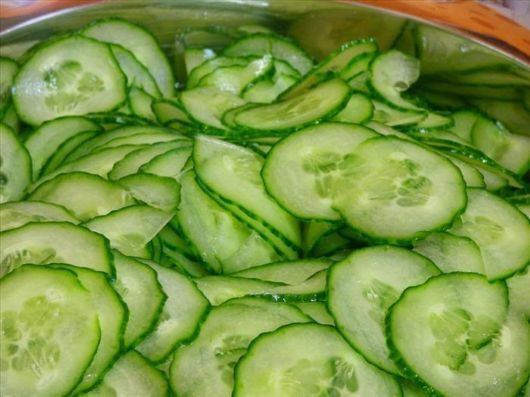 To prepare the cucumber properly for this task, take a cold one fresh from the refrigerator and cut two thick slices. Find a room in your house where you can relax and set the cucumber slices over your closed eyes for around ten to fifteen minutes. You will look and feel great afterwards!